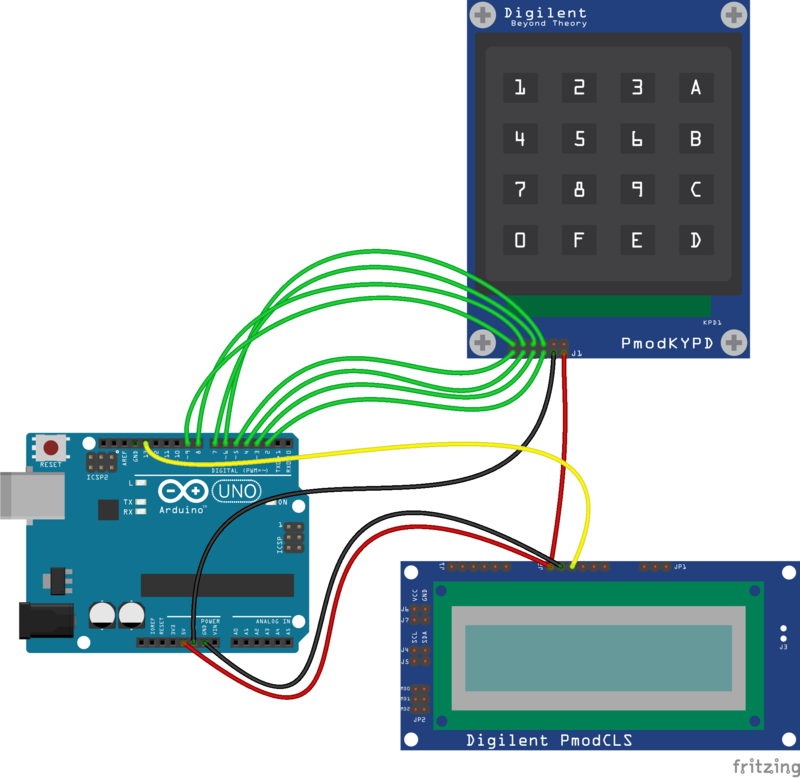 This application note was designed to use the Arduino Uno with the Pmod KYPD and Pmod CLS to show the activation of a key on the keypad on the serial display. Fritzing file displaying the connection of the Pmod KYPD, Pmod CLS, to the Arduino Uno. Fritzing image displaying the connection between the Pmod KYPD, Pmod CLS, and Arduino Uno. This code will setup the activation of the keypads on the Pmod KYPD to be shown on the serial display. * activation of a key on the keypad will be shown on serial display.